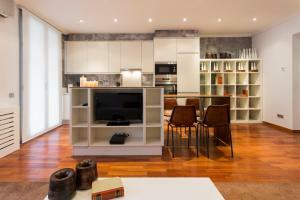 Set in different buildings around Rambla Catalunya and Passeig de Gracia, BCN Luxury Apartments offers stylish apartments with free WiFi. 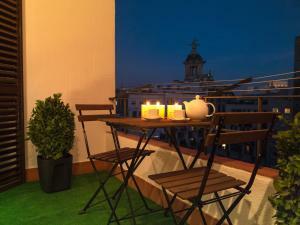 Most of them have private terrace with city views. 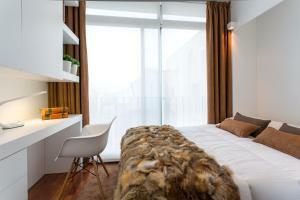 Each spacious apartment features lightly coloured contemporary décor with stylish furnishings. 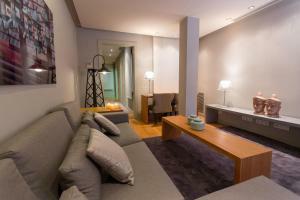 There is a large living room with a sofa, a flat-screen TV and a DVD player. 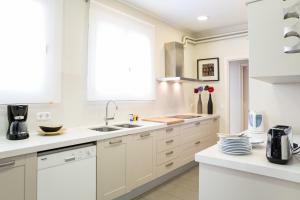 The kitchen has an oven, electric hob, microwave, coffee maker and a Nespresso Cofee Machine; there is a washing machine and dryer. 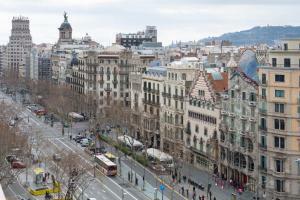 Passeig de Gràcia Metro and railway stations are within 100 metres of the apartments. 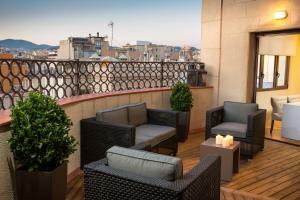 Gaudí's famous Casa Batlló is less than 300 metres away and you can reach La Pedrera in 10 minutes. 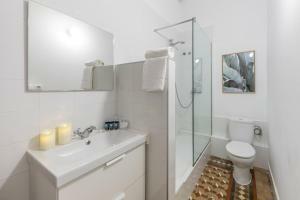 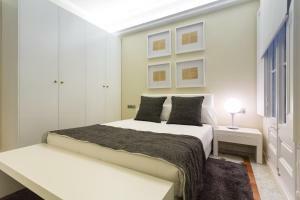 The pictures at the top of this page are a selection of the different apartments located in Barcelona. 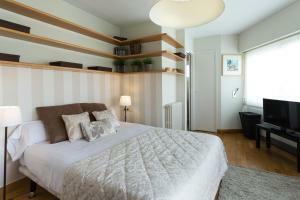 Please select a date and click on the apartments to see the pictures of the individual apartments. 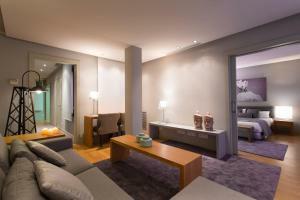 Please call the property when you arrive in Barcelona to arrange key collection. 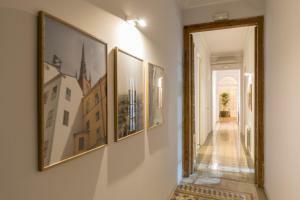 Please note that key collection takes place directly at the address of your apartment. 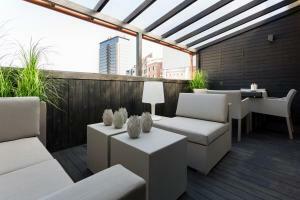 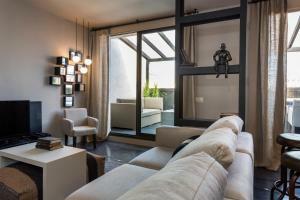 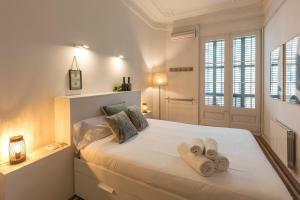 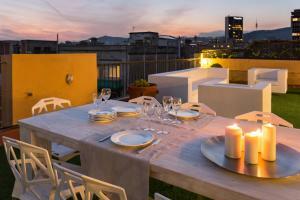 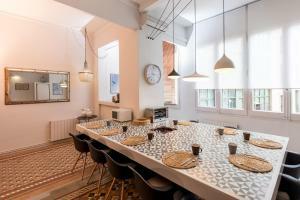 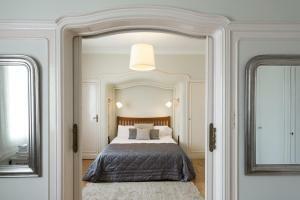 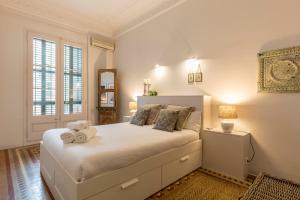 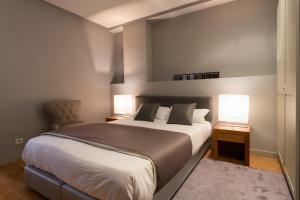 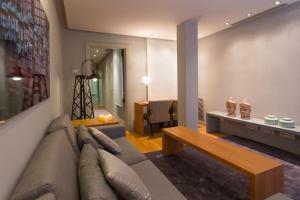 Address: Rambla Catalunya 42 Featuring a private balcony. 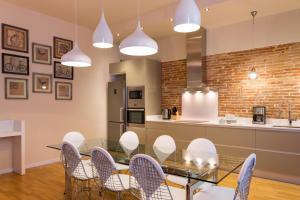 This stylish, air-conditioned apartment features modern décor. 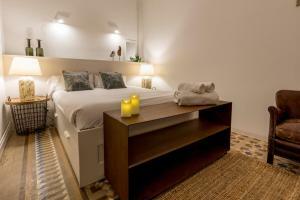 It has a double bedroom and a spacious lounge with a sofa, flat-screen TV and a DVD player. 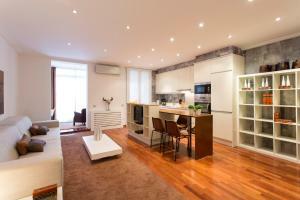 The kitchen has an oven, electric hob, microwave, coffee maker, a washing machine and dryer. 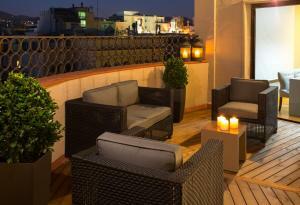 Rate: € 128.00 ... € 650.91; select dates below to get current rates. 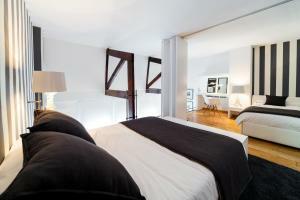 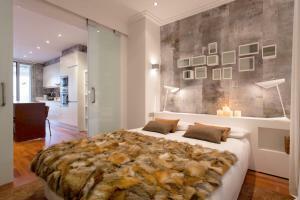 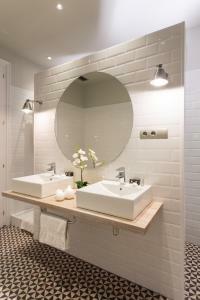 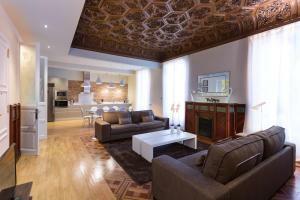 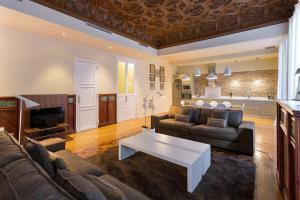 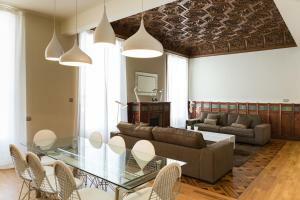 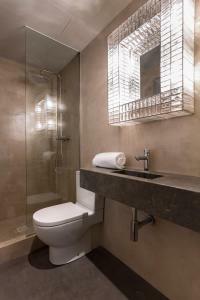 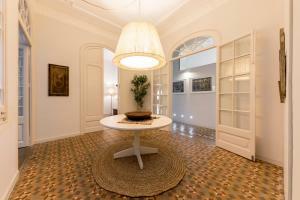 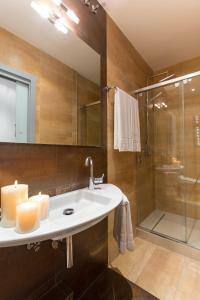 Address: Passeig de Gràcia 58 This stylish, air-conditioned apartment features modern décor in brown tones. 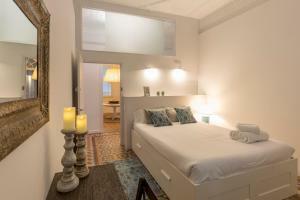 It has 2 double rooms, and a spacious lounge with a sofa, flat-screen TV and a DVD player. 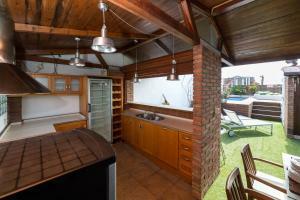 The kitchen has an oven, electric hob, microwave, coffee maker, a washing machine and dryer. 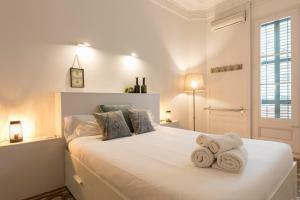 Rate: € 230.10 ... € 600.00; select dates below to get current rates. 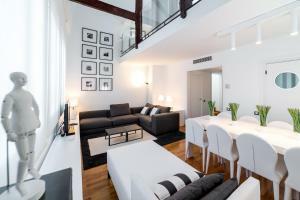 Address: Rambla Catalunya 42 Featuring 2 private, furnished terraces, this stylish, air-conditioned apartment features modern décor. 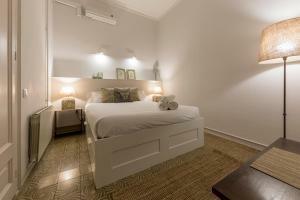 It has 2 double bedrooms, a twin room, and a spacious lounge with a sofa, flat-screen TV and a DVD player. 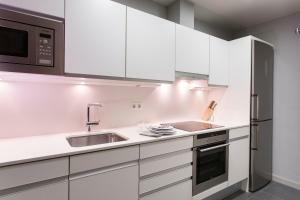 The kitchen has an oven, electric hob, microwave, coffee maker, a washing machine and dryer. 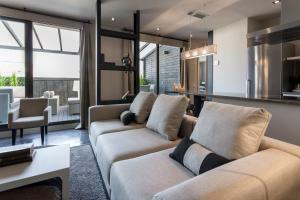 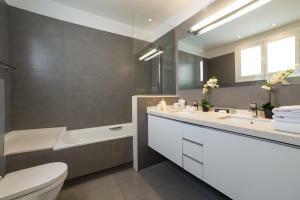 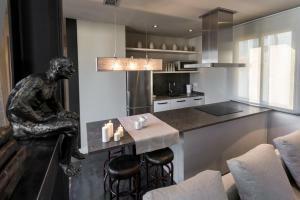 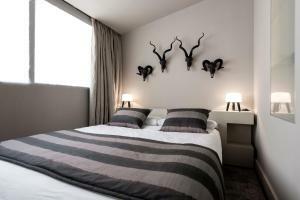 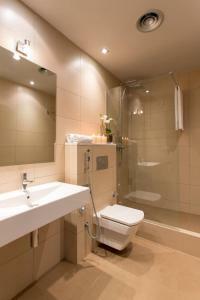 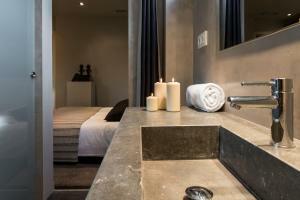 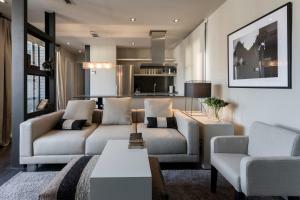 Address: Minerva 6 This stylish, air-conditioned apartment features modern décor in grey tones. 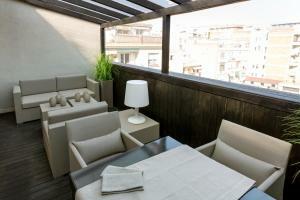 It has a private terrace, and the lounge includes a sofa, flat-screen TV and DVD player. 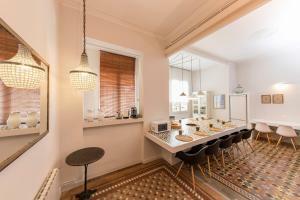 The kitchen includes an oven, electric hob, microwave and coffee maker. 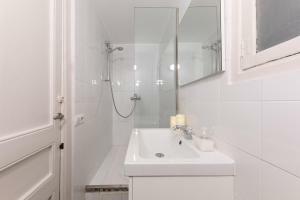 There is also a washer-dryer. 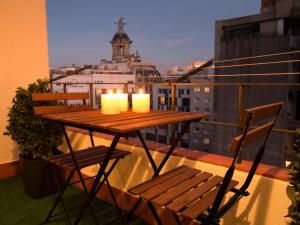 Address: Calle Balmes,154. 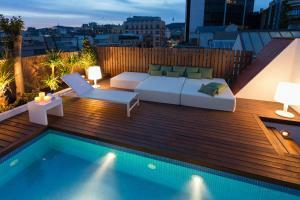 Featuring a private terrace with a seasonal pool, this stylish, air-conditioned apartment features modern décor. 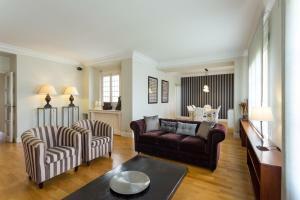 It has a double bedroom and a spacious lounge with a sofa, flat-screen TV and a DVD player. 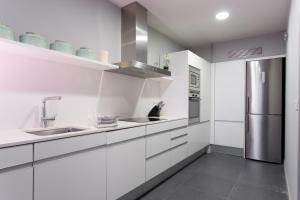 The kitchen has an oven, electric hob, microwave, coffee maker, a washing machine and dryer. 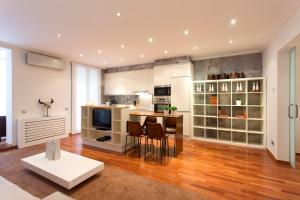 This apartment has a electric kettle, toaster and air conditioning. 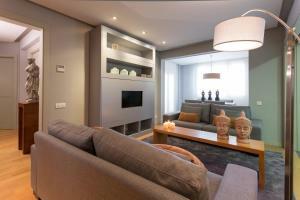 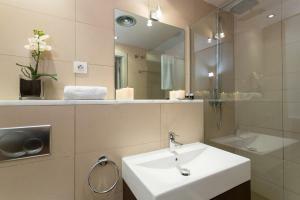 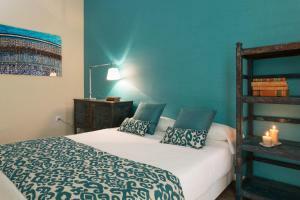 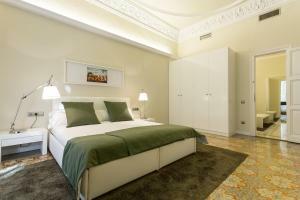 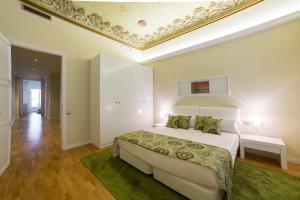 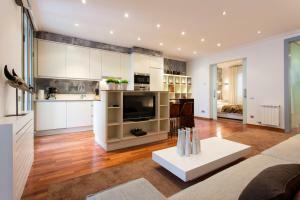 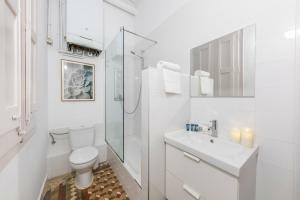 Address: Caspe, 45 This stylish, air-conditioned apartment features modern décor. 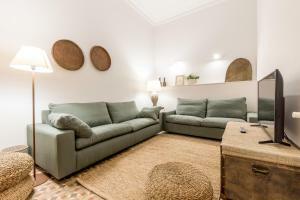 It has a spacious lounge with a sofa, flat-screen TV and a DVD player. 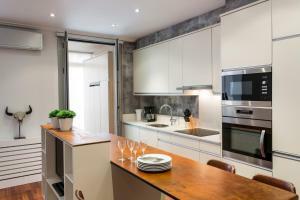 The kitchen has an oven, electric hob, microwave, coffee maker, a washing machine and dryer. 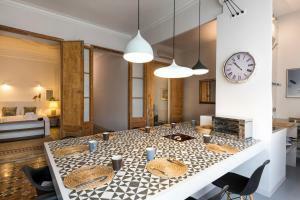 Address: Rambla Catalunya, 99. 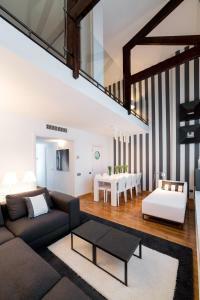 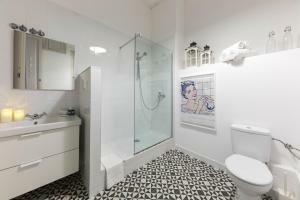 Featuring two private terraces, this stylish, air-conditioned apartment features modern décor. 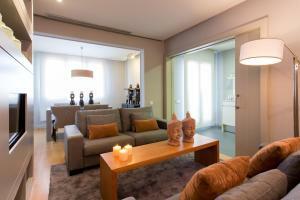 It has 3 double bedrooms, 2 individual bedrooms and a spacious lounge with a sofa and a flat-screen TV. 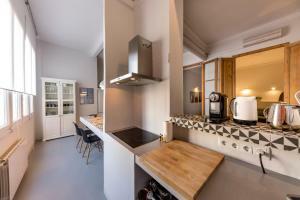 The kitchen has an oven, electric hob, microwave, coffee maker, and a washing machine.